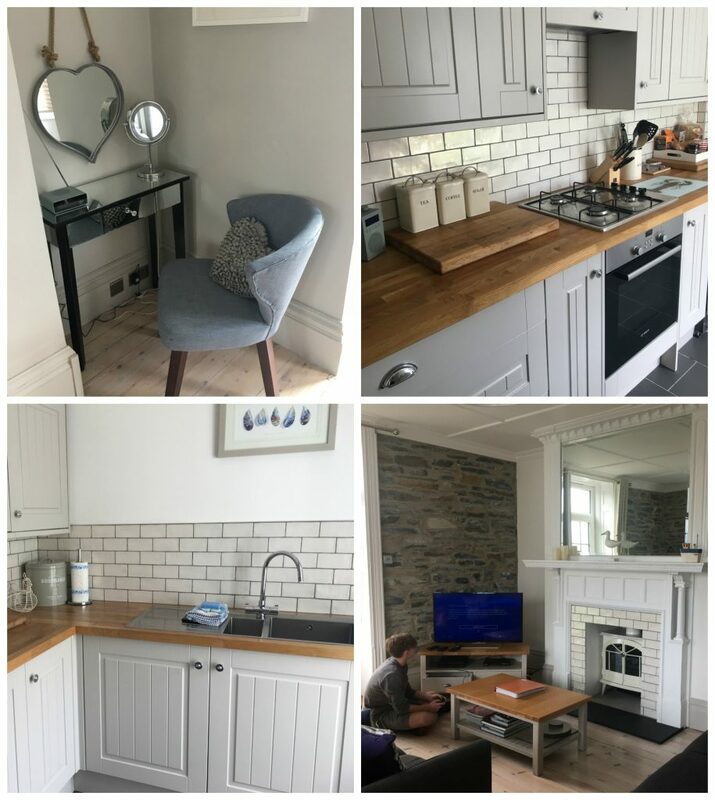 After three years staying at the perfectly nice and comfortable One High Street in Padstow, my husband decided he wanted to stay somewhere with a bit more of a wow factor for our holiday in Padstow this year. 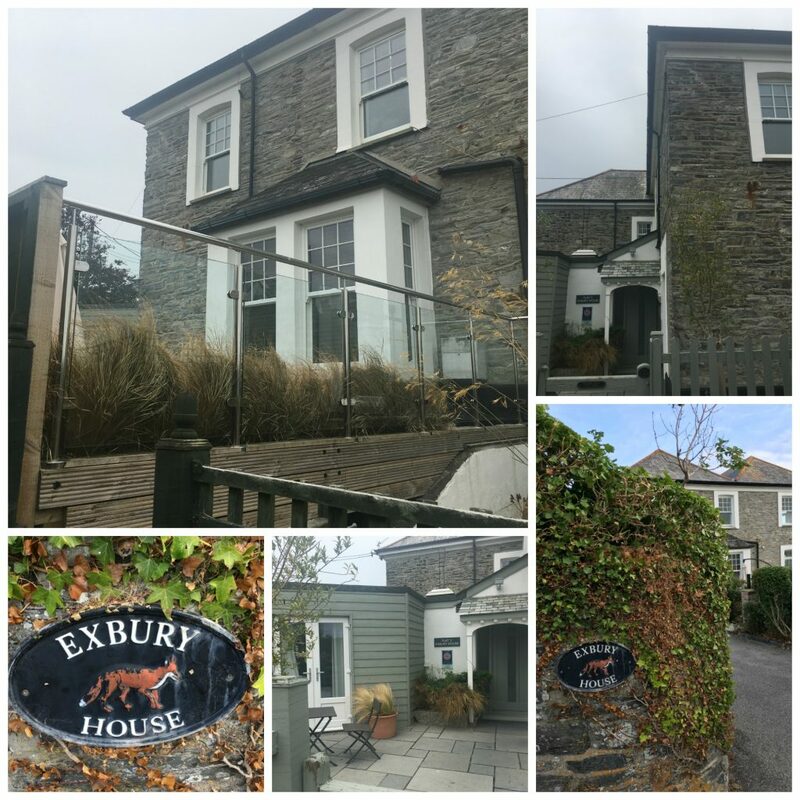 After a lot of searching (there are a lot of houses with wow factor), he came across Exbury House and booked it. Flat 2 of Exbury House is the ground floor of a large house, which is fitted out to a very high standard. It has three bedrooms, two with ensuite. It is decorated in shades of grey throughout and has wooden floors in all rooms. It has a few seaside accessories and pictures of Padstow, but not enough to make it tacky. The house has a very long hallway and it took me most of the week to try to remember which room was the kitchen and which was our bedroom! The lounge is large, with a bay window looking right out across the estuary. So you can sit and watch the tides change all day. The dining table is right in front of the window and we found ourselves choosing to sit there rather than on the settees, just because the view is so stunning. The owners have even provided some binoculars, so you can take a closer look at Rock, on the other side of the Camel Estuary. It also has a beautiful fireplace with a wood burner. There are two double bedrooms, both with slightly obscured sea views. The larger of the two bedrooms has a much smaller bathroom. The sink is so small that it isn’t really possible to wash your face or clean your teeth in it! The third bedroom has bunk beds and is the smallest room in the house. My boys weren’t particularly happy with it. They felt a bit cheated that my daughter had nabbed the room with the ensuite, but they weren’t willing to share a double bed! In fact, my eldest decided he wasn’t even willing to share a room with his brother at all, so he slept on the settee all week. The main bathroom has a bath, but no shower, so we spent a lot of the week moving shampoo and towels around the house so the boys could have a shower. There is a small outdoor area with a view across the estuary and tables and chairs. There is space to park two cars (although it is a bit of a squeeze getting through the gate) and even a garage and a basement! We didn’t realise for a few days that we had a key for the garage, so we stored our bikes in the basement. For us, staying close to the town centre is an essential. There is nothing quite like walking out of your front door and being surrounded by the beauty of Padstow harbour within two minutes. Exbury House is in a different part of town to One High Street and Sailmakers (our previous holiday home) and the kids were worried it wouldn’t be close enough to the town centre. To get to the town centre, you simply walk through the garden, then we had our own private steps down to the road, which brought us out just behind Rick Stein’s chip shop. (Although actually the steps probably weren’t really for us to use and belonged to the upstairs flat which was being renovated.) The walk to the town was even shorter than our previous holiday homes! It isn’t cheap to stay at Exbury House and I know a lot of people will read this and say ‘I could go abroad for less than that!’ and, yes, you could. 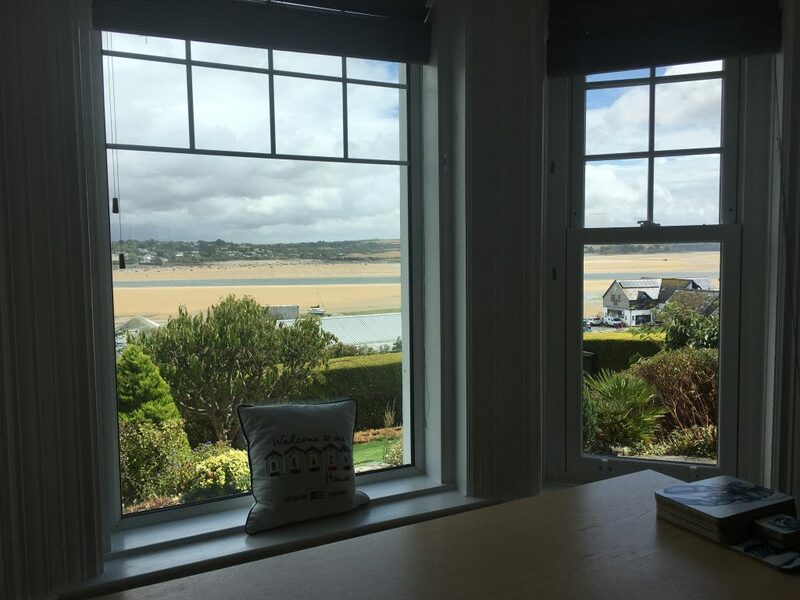 But we find taking five people abroad very expensive – five people always need two hotel rooms, so we actually like to pay a bit extra to have a luxury holiday in Padstow. 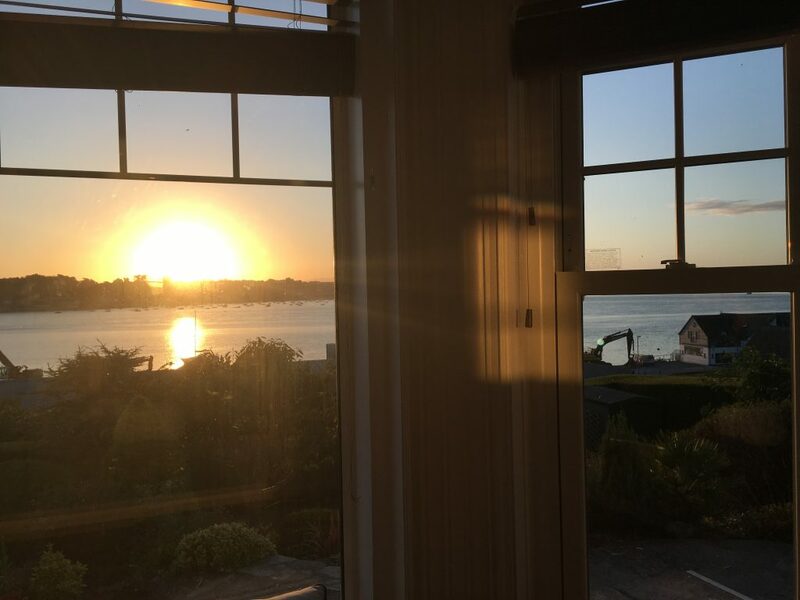 Booking for next year opened on 21st August, but when we went online we discovered that Exbury House is being sold and is no longer available to book. 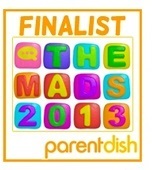 I’m gutted. 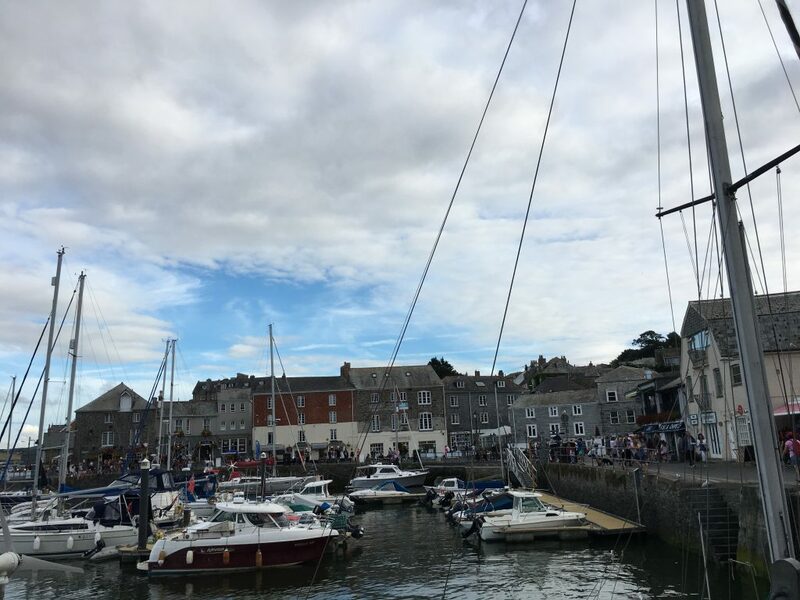 I’m especially gutted, because it’s making my husband question whether we should actually give Padstow a miss for a while (after going every single year since my eldest was born in 2001). My eldest will be 18 next year and hasn’t enjoyed Padstow for a while, he’s already said he won’t be going with us and that’s fine. 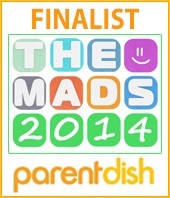 My 14 year old son didn’t enjoy it as much this year, but my daughter and I still love it as much as ever. 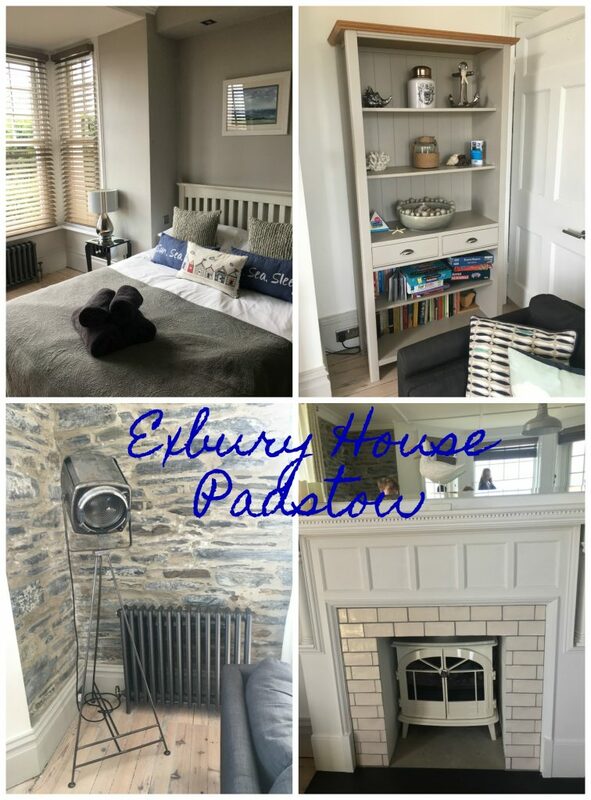 I’m hoping we will still find time to get to Padstow next year, but it definitely won’t be at the lovely Exbury House.